Terracotta landscapes surrounding the Alto Atacama Desert Lodge & Spa. 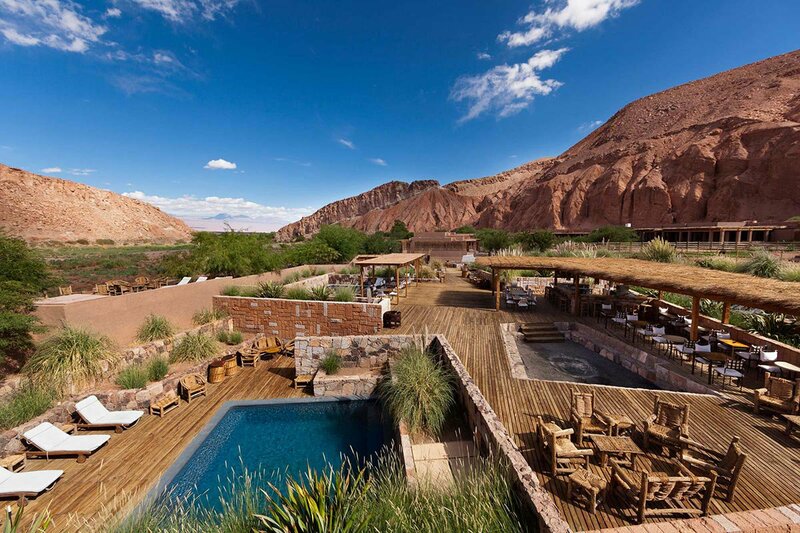 Photo courtesy of Alto Atacama Desert Lodge & Spa. Think you need 40 years of specialized training, a 100-pound spacesuit, and endless astronaut training to have a cosmic experience? Think again. 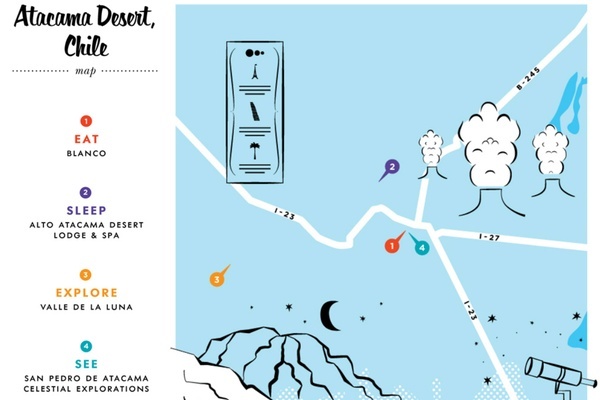 Wear your moon boots through the Atacama Desert; space is much closer than you think. ATACAMA DESERT, Chile – Travel south to one of the driest and most astonishing environments on planet earth. The varied and sparse landscape ranges from vast stretches of bone-dry desert to flamingo-flanked salt flats. Stay hydrated with frequent water breaks and pack your strongest chapstick. A desert oasis that transports you to the isolated, rocky, red terrain of mars. Terracotta — colored cottages blend seamlessly into the otherworldly catarpe valley. Visit the friendly stable of llamas or sign up for one of 30 local adventures, including an adrenaline-packed volcano climb or an early morning excursion to el tatio geyser field, where boiling-hot water and steam erupts from more than 80 vents in the earth. 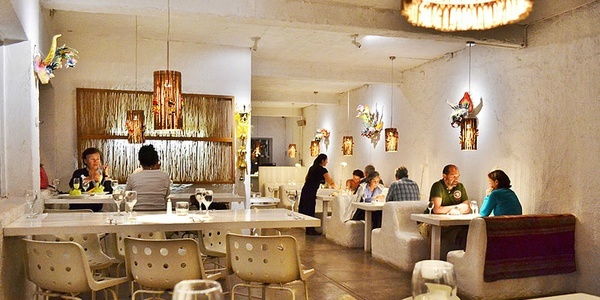 Scope out the tiny desert town of San Pedro de Atacama before settling in at a fireside table in the back courtyard at this cozy restaurant. Sleek, minimalistic, all-white interiors give it the slight feeling of being in a spaceship's interior, and the menu of international highlights will take you on a whirlwind trip around the globe. Grab a bite at Blanco. Photo courtesy of Blanco. The landscape at Valle de la Luna. Photo by Berit Baugher. The eerie silence and striking lunar-like landscape will take your breath away. Sloping sand dunes, dry lakes and alien rock formations have been carved out by hundreds of years of intense wind and little rain. The valley's harsh, parched surface is so unique to earth that scientists deemed it the ideal spot for prototyping the Mars rover. Catch a glimpse of the moon's craters and far away galaxies glittering against the night sky through the powerful telescopes of astronomers Alain Maury and Les Nagy. Their nightly tours to this prime desert spot are considered one of Earth's best for stargazing, thanks to a lack of rain, high altitude, and clear skies. This is as close as you'll get to seeing outer space from Earth. Celestial Explorations in San Pedro de Atacama. Photo by Joey Weissbrot.